Enjoy these great RV tire covers that fit all the makes and models that your towing around on the open road. Everything from Jayco to Woodmen. We have them all. The images used depicting RV camping tire covers are proprietary. 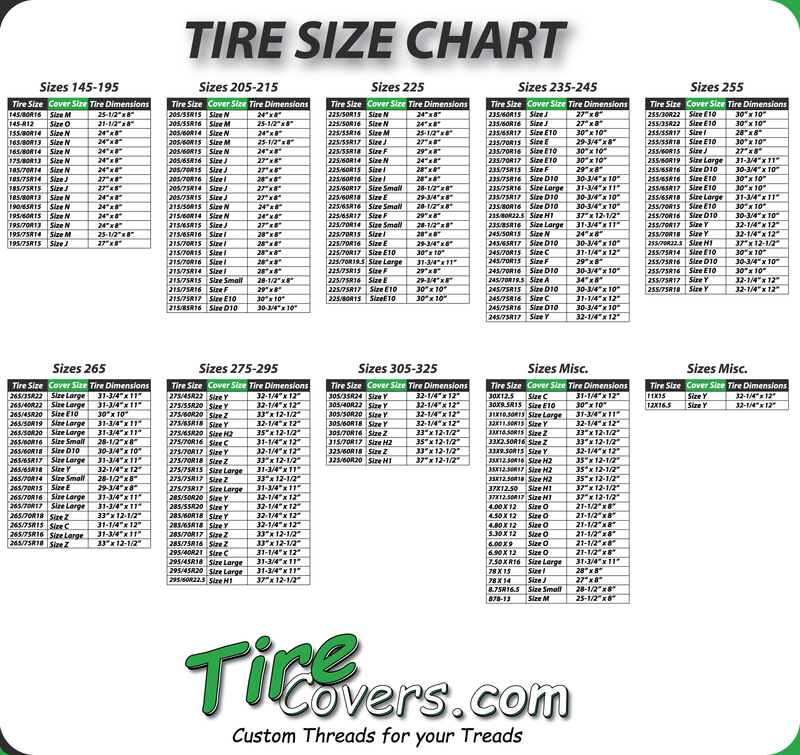 All of the other categories for tire covers on this website can also be used on RV tire covers. A tire is a tire so don't think that your limited to what you see on this page as every design or theme we have will fit y our RV spare tire. This category is more for camping as-far-as the themes are concerned. If your an RV dealership we can make tire covers with your dealership logo on them. Our dealer imprint tire covers are the finest in the industry and provide exceptional rates for high quantity orders.